n May, 2013 Jeff was accepted as a Signature (artist) member of the prestigious international Society of Animal Artist, a small group of artist who have reached the standard of excellence in the medium they choose to create their art. Jeff`s love of the natural kingdom becomes apparent when you spend a moment with his sculpture. You will find him, when not carving stone, walking through the forest with the wild creatures he calls his friends. He has a deep sense of humanity as part of the greater kingdom of living creatures. Being surrounded by the beauty of Flora and Fauna is what inspires him to spend hours letting others know there is a world of natural beauty beyond asphalt, malls and computers. Jeff also had the privilege of living in an Indian village for several months. There, the spirit world and the world of living creatures live as one. It`s part of what gives Jeff such a unique connection and insight into the natural world. 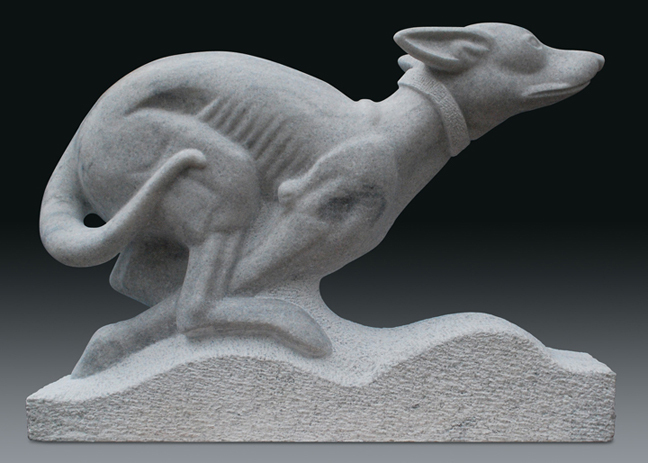 To this artist, stone carving is a slow, spiritual process. He still prefers to use a hammer and tempered chisels using the direct carving method like the carvers of centuries ago, rather than power tools. An intimate bond develops between the carver and the stone. As the stone speaks to the carver, hours turn into weeks and then into months. Jeff does not allow the first stone chip to fly off a piece of stone until he sees the image within. That is the work. According to him, the rest is merely the creative process of removing chips of stone until the image within emerges and seems to come to life. 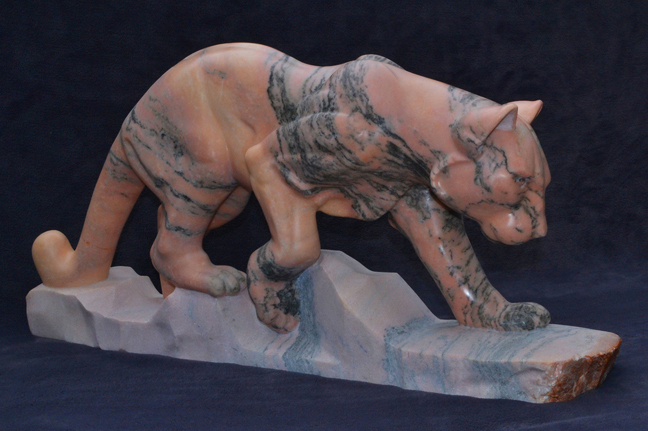 After hundreds of hours chipping away on a single stone, he stands even longer smoothing away those chisel marks and, longer still, sanding the artwork to a flawlessly smooth glow. 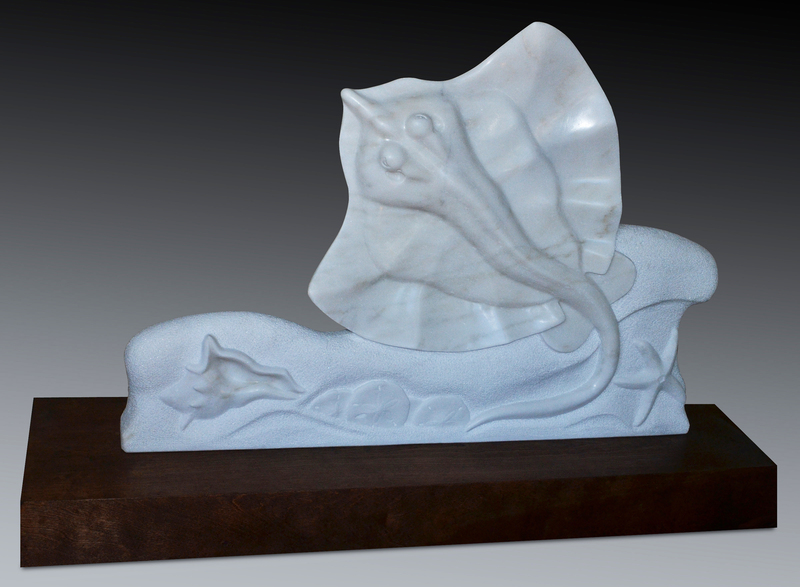 When he is not carving the natural world he loves, he can be found carving commissioned pieces. Jeff`s work is prominent in many private international art collections.